I’ve been meaning to complete my Top 10 Food List in Pudu by October this year but work and our new home came into picture, so it was put on hold. Nonetheless, I’m glad I got to complete this before year end. 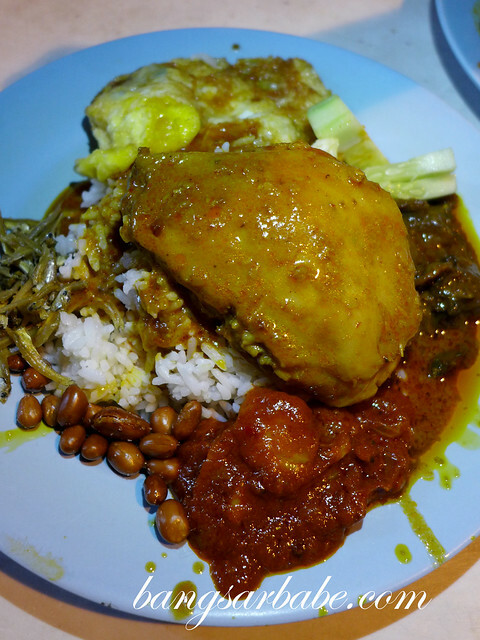 Pudu is considered a food haven by many locals in Kuala Lumpur. 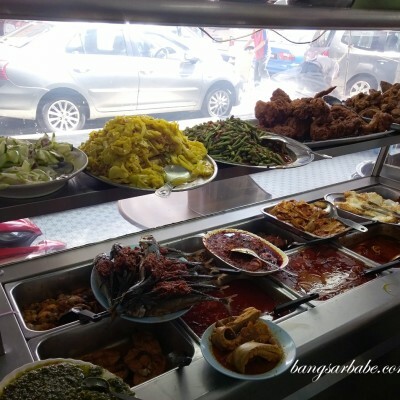 You can find a good variety of hawker food from morning till late night. Enjoy! I was never really a prawn mee fan, but this place warrants many return visits. Sharing table is a common practice here and the shop has been around for more than 4 decades. Currently, the son mans the cooking station. 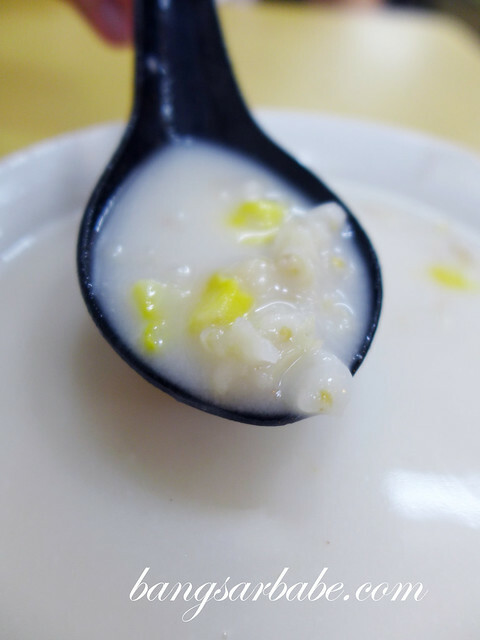 The soup is prepared using plenty of prawn head and shell, and as a result, the broth is sweet and aromatic. 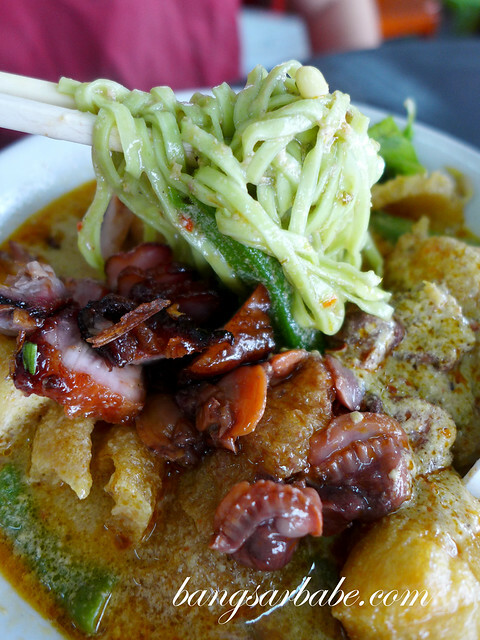 Portions are generous – each bowl comes with peeled prawns, chicken pieces, kangkung and deep fried shallots. Remember to try the chilli sauce; it packs a punch! Read my review here. 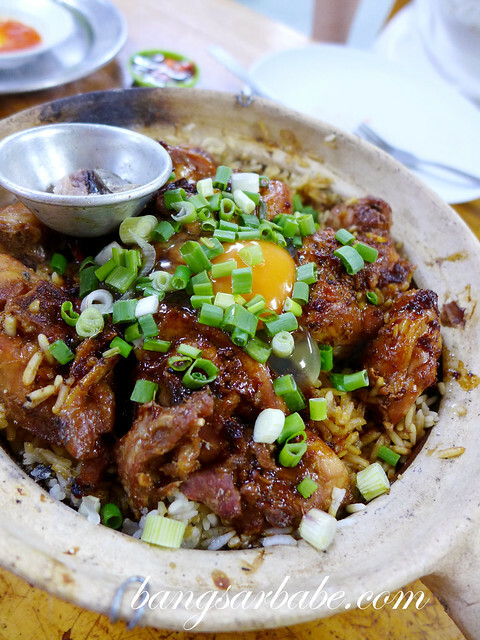 Heun Kee Claypot Chicken Rice has been around since the 90’s and charcoal stoves are used to cook the rice so it is tastier and more fragrant. Expect to wait at least 30 minutes for your claypot chicken rice. The rice boasts a good aroma from the charcoal cooking process and is of just the right texture. My favourite part is the crispy rice bits at the bottom of the pot. Currently the best claypot chicken rice I’ve eaten. Read my review here. 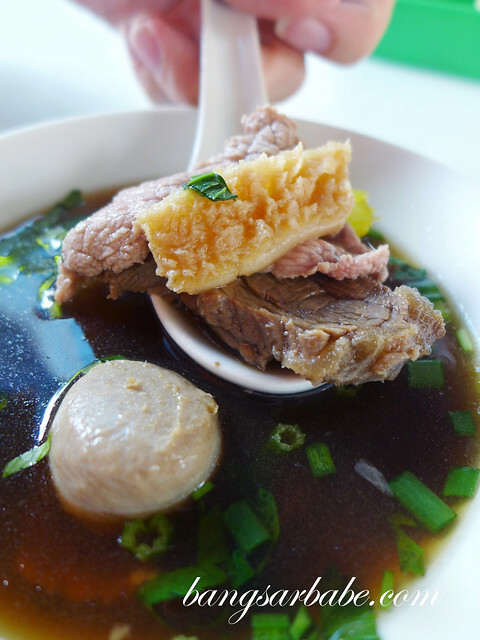 The shop opens from 1pm onwards, and serves a small selection of tong sui (RM2 per bowl) along with some nyonya kuih. 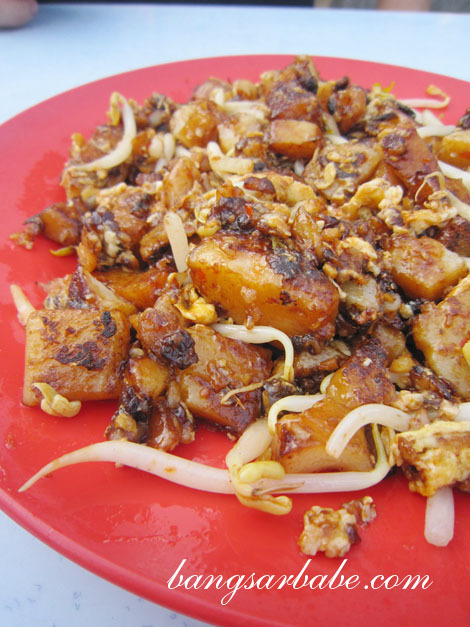 They also serve savoury items like fried rice, nasi lemak, glutinous rice and radish cake. 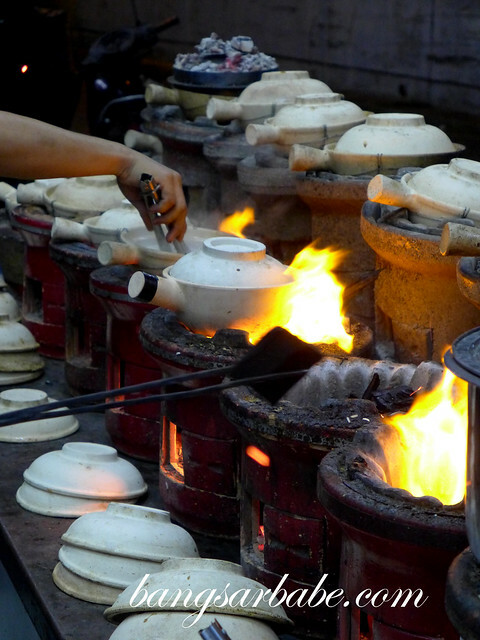 I’ve tried five types of tong sui – black sesame paste, bubur gandum, peanut paste, red bean soup and herbal egg tea – my favourite being the bubur gandum. Do give their nyonya kuih a try. The kuih talam is good stuff. Read my review here. A Chinese auntie mans this nasi lemak stall with her daughter and the place gets crowded on a Sunday night. Pork is served here so expect to see innards with curry, fried luncheon meat, pork curry and lap cheong. The coconut rice is fluffy and fragrant from the addition of pandan leaves. Pity the curries aren’t spicy enough but if you love a good porky nasi lemak, this is your best bet. Read my review here. I call it the beef noodles under the big tree and the noodles here are delicious. The place is no-frills with no air conditioning so expect to sweat a little when you’re there. Get the dry version — homemade noodles tossed with special sauce and slivers of beef, tripe and beef meatball. The uncle can be cranky, so I was told. But he has been nothing but nice to me and even offered to give me extra soup. Read my review here. Currently my favourite place for curry laksa, it would be wise to come here early or risk being disappointed. On two occasions, they ran out of curry by 11am. And the dry noodles although decent, wasn’t good enough to suppress that curry mee craving. 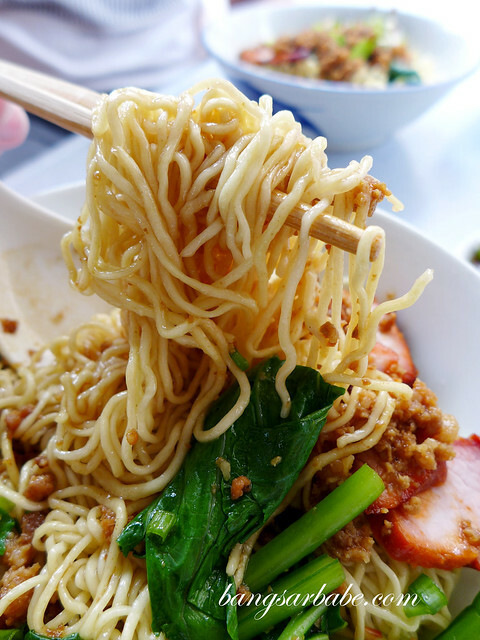 You get a few noodle options — spinach noodle, yellow mee, mee hoon or kuay teow. I usually go for the spinach noodle and a large portion. Each bowl comes with slices of char siew, tofu puffs and juicy cockles. 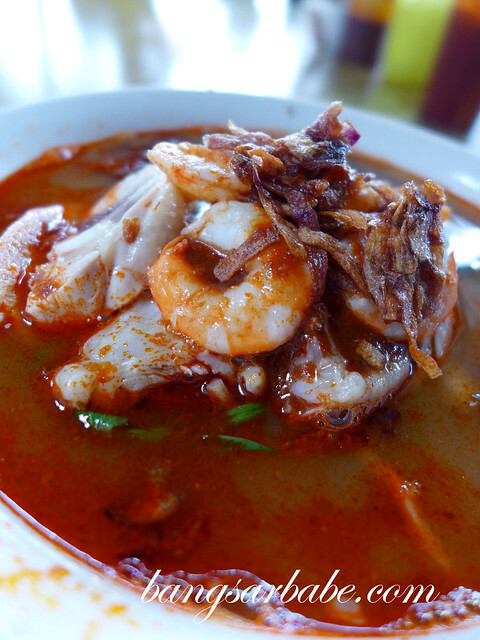 The broth is thick, fairly spicy and rich from the coconut milk, almost addictive. Read my review here. One of the oldest Chinese restaurants around KL, Sek Yuen is as old school as it gets. The chefs are in their seventies, and so are the staff. There is no menu available; you are expected to know what to order. The food is fuss free and reminiscent of what your grandmother would cook. 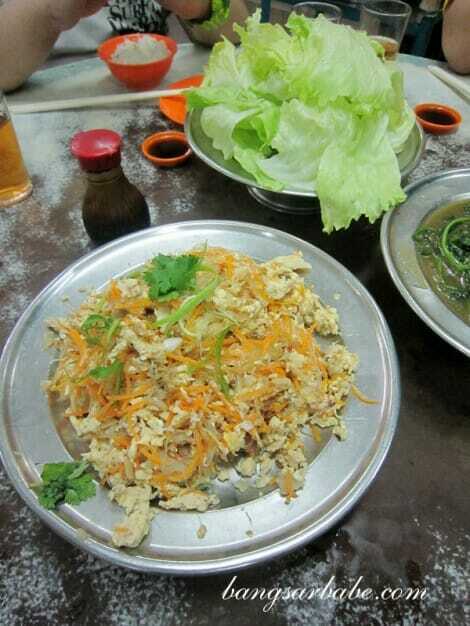 One of the more interesting dishes for me is the Kwai Fa Chi (mock sharks fin with egg), eaten with fresh lettuce. 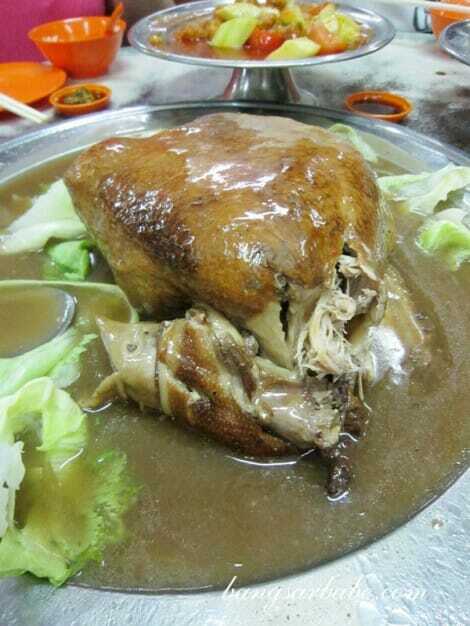 Also, try the eight treasure pork knuckle or duck. Both are tasty so it really depends on your meat preference. Read my review here. 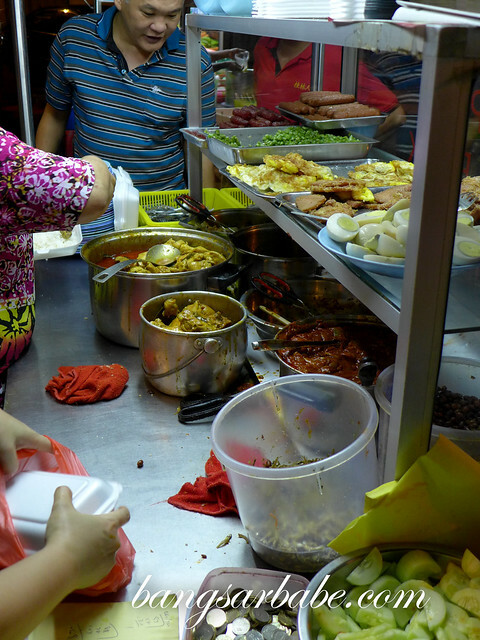 One of my favourite food streets to go to in KL, Pudu Wai Sek Kai is known for many things. Namely the fried chicken, tong sui, hakka mee (see below) and fried carrot cake. 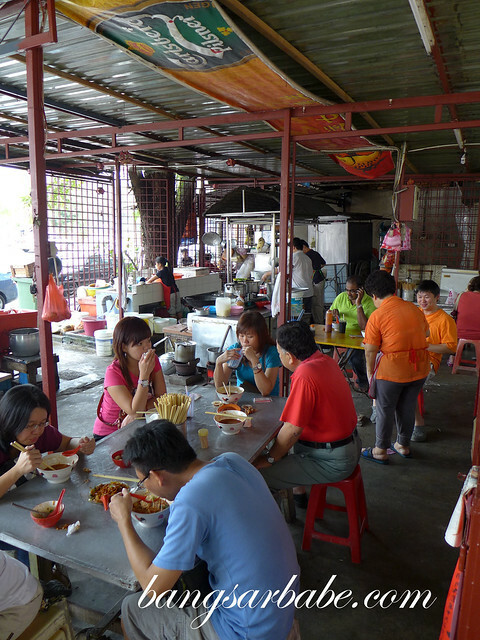 The tong sui sells out by 3.30pm, but that is also when the other stalls begin operation. 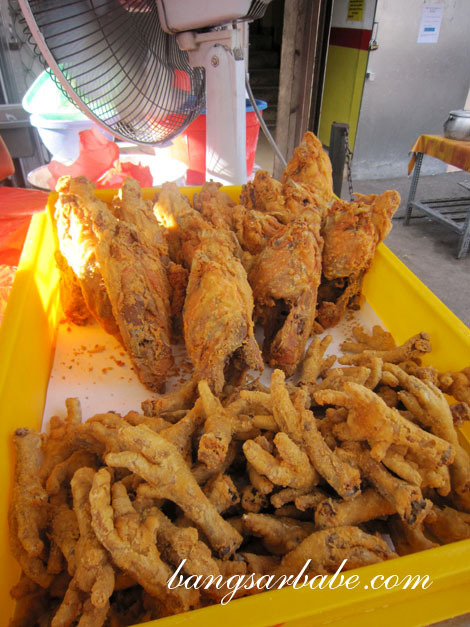 There is perpetually a long queue for the fried chicken — you get to choose the chicken parts you like. Try and make space for the steamed yam cake. This one is quite good. All in, just go there on an empty stomach and fill it to the brim! Read my review here. This stall has been around for more than eight decades, serving handmade hakka noodles to regulars. 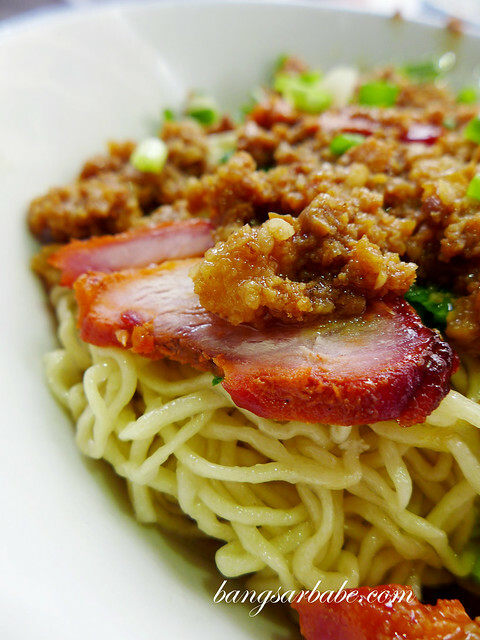 The handmade noodles are cooked to order and comes with savoury minced pork, char siew slices and lard oil. Unlike the usual hakka noodles we’re accustomed to, this version is springy and devoid of alkaline taste. The wantan soup is also commendable; smooth morsels of pork dumplings in light pork broth accented with a slight dash of pepper and scallions. 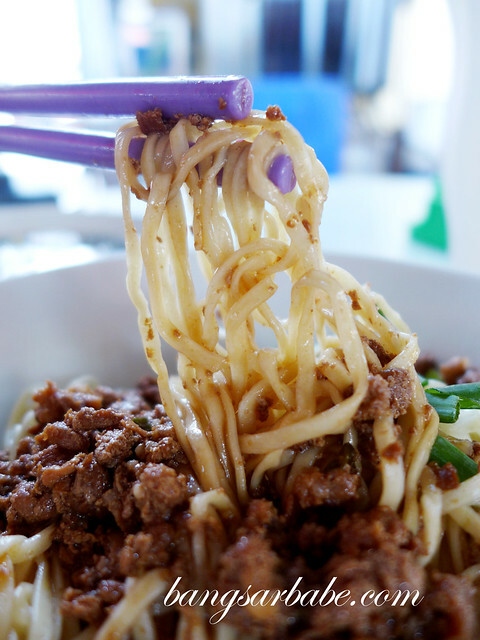 If you want your Hakka mee fix, get here by noon (they open from 8.30am onwards) as the stall closes by 2pm. Just before the Wai Sek Kai stalls open. Read my review here. Another popular stall that opens only in the afternoon, it’s pretty easy to spot Thim Kee’s crowd at the corner of Jalan 1/77C. Both the steamed and deep fried tilapia are popular items here, but my preference lies with deep fried. 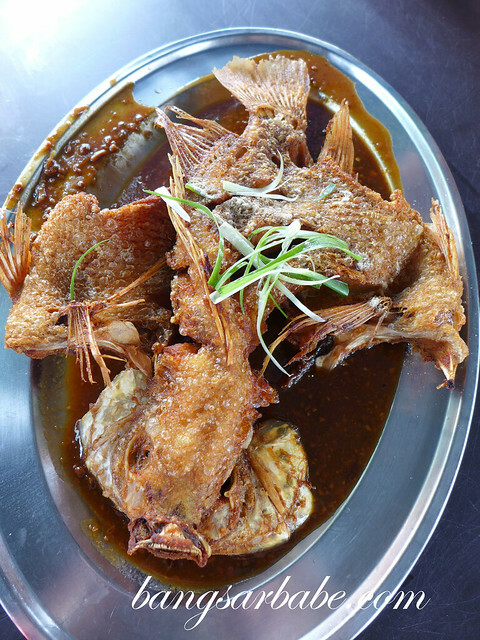 The tilapia is crispy on the outside and juicy on the inside, and comes with a savoury-sweet and garlicky bean sauce. It gets really hot in the afternoon, especially under the zinc roof so office workers, beware. It’s best to dress casually for this. Read my review here. Yes, the San Peng Prawn Mee is the best hawker stall in Pudu. The parking can be a bit of a headache especially on the weekend because of the market. Yes, parking is quite a hassle. I usually park quite far away and walk over. Is it near the yong tau fu place? What time do they normally open/close?? what about the kim lian kee hokkien mee, kun kei wantanmee ar? Hmm its 11:18 on a thursday night..
where can i get some good food bansar babe. I’m touring from Canada. I have not try a few of them yet . Wanna go and try . Thanks for sharing . Oh feel hungry seeing your list . Appreciate the food recomendation.Love to eat but no time.If hv a fren to drive around these food trails ill pay for d food n gas as well..Cheers..